If you’re looking for something outside of our scheduled courses, then you’ve come to the right place. 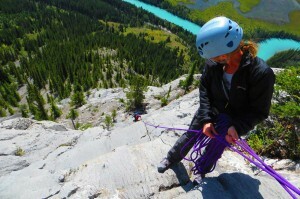 Private rock climbing instruction can be tailored to your goals and aspirations. Whether it’s single pitch rock climbs or long multipitch test pieces, we will find the right climb for you. Private instruction is for anyone and everyone. Individual, family, or group bookings for beginner to advanced climbers. All climbing equipment is provided. A private booking can be made for any of our Instructional type courses. You chose the dates and we will help put it all together for you. Popular areas include Banff and Canmore, Lake Louise, Ghost Wilderness, Kananaskis, and Skaha. The season typically runs from May to September with July and August being the best weather months. For larger objectives or routes with increased hazards, there may be an additional charge applied to your booking. 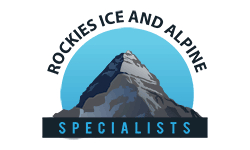 Mountaineering days that exceed 10 hours in length, rock climbs that are longer than 400 meters, or ice climbs graded WI5 or higher are good examples of when this surcharge would apply. You may also need to demonstrate the ability and experience required to your guide. Prep days or training days are not uncommon, and can be arranged to see if you’re ready for your chosen BIG route. Surcharge amount can be $200 or more per day. Please contact us if you think your BIG route may fall into this category.